Not only beautiful, but also smart. All products from WOODEN Germany are intelligent room accessories that can be controlled with a free app. No Internet access is required for the control, because our lamps generate their own WiFi network. Likewise, the products can be integrated into an existing network. The installation is simple and can be done easily with the included instructions. A wide color spectrum of over 16 million colors allows individual settings of the desired color. Warm-white and cold-white light support stepless dimming. For each luminaire, the thermal management has been optimized, which ensures a long life of at least 50,000 hours. Our wooden lamps and lighting elements are handmade of a genuine wooden veneer and therefore one of kind. 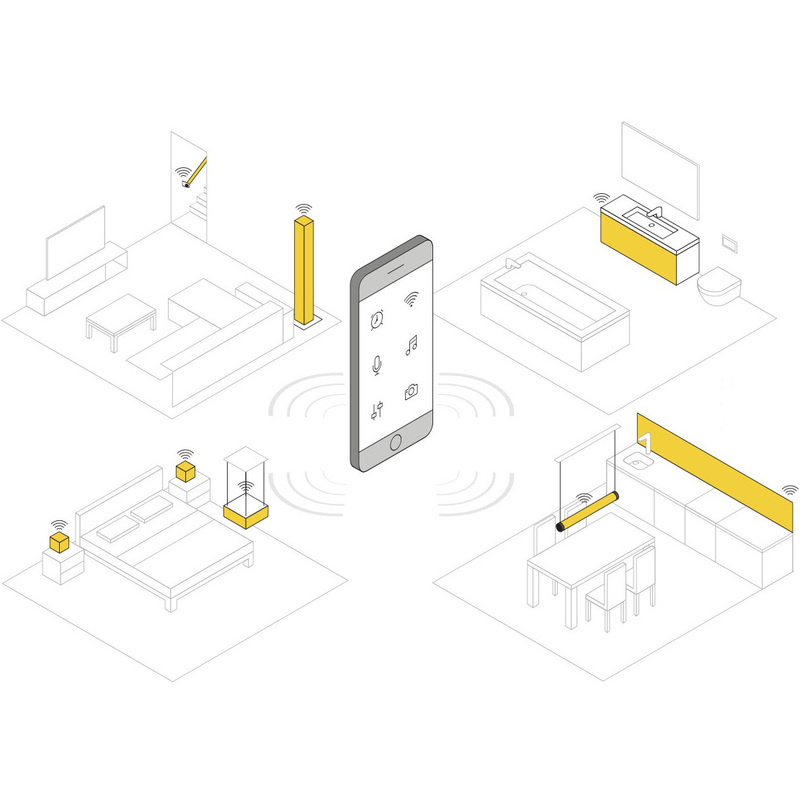 An additional benefit is the compatibility with smart home. 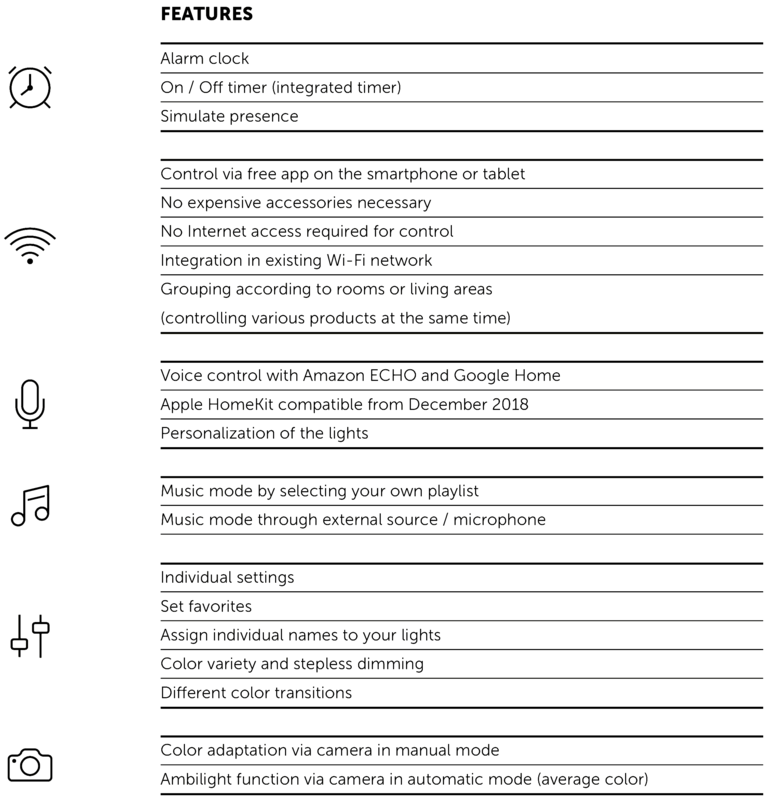 You can control every of our lamps or lighting elements easily via smartphone or tablet or via voice command (Alexa or Google Home). The free app allows you to change the color, set a time switch and more functions you see in the image. 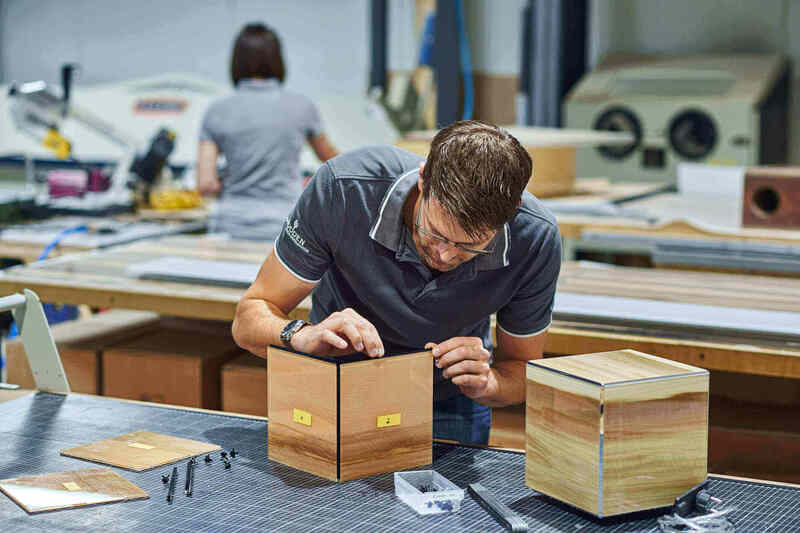 With craftsmanship and passion, we manufacture high quality products in the beautiful northern Germany. Each lamp is unique because we use real wood. In an invisible part of the product, our craftsmen sign their artworks. Our aim is to create high quality products and good light. For this reason, we only produce “Made in Germany”. Open fire from a lamp. This is what it actually looks like when you turn on a WOODEN light. A light that gives you warmth and security. The calming effect on humans we discovered by accident. Toddlers became very relaxed when a WOODEN DICE was turned on. Taken by curiosity, we have had this phenomenon scientifically investigated. It is well known that light has a fundamental effect on humans. In particular, it affects biological functions, the hormonal system and mental state. Bright light affects the level of melatonin and can be a cause of sleep disturbance as it is difficult to relax. 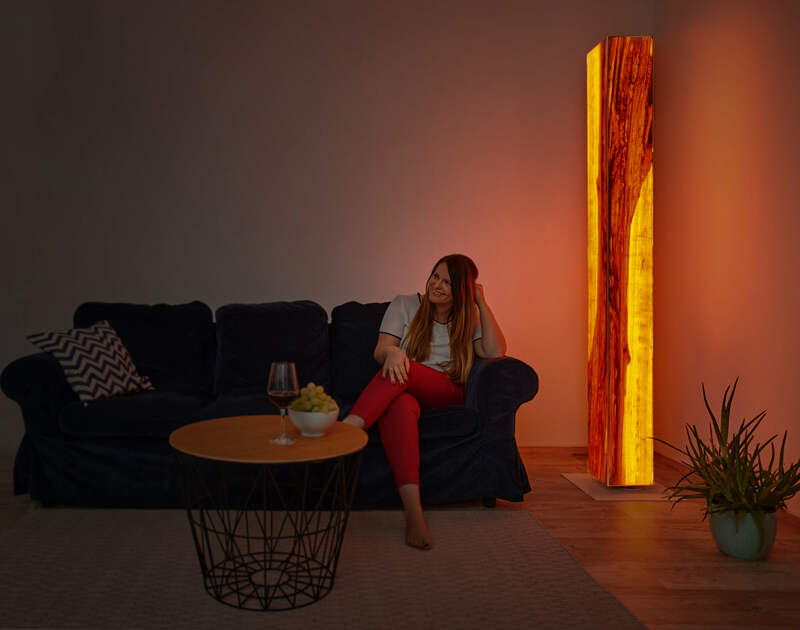 The WOODEN Comfort Light works in the spectrum of warm white colors. These include mainly red, orange and yellow tones. Each of these colors has a specific effect on our emotionality and psyche. They have a warming and calming effect, arouse optimism and vitality, and even relieve anxiety and depression. Comfort light is good light for the soul.